We are extremely proud to have picked up a 2017 nominated product of the year award for Done & Dusted Quick detailer in what is a very competitive and 'Big Name' market sector. 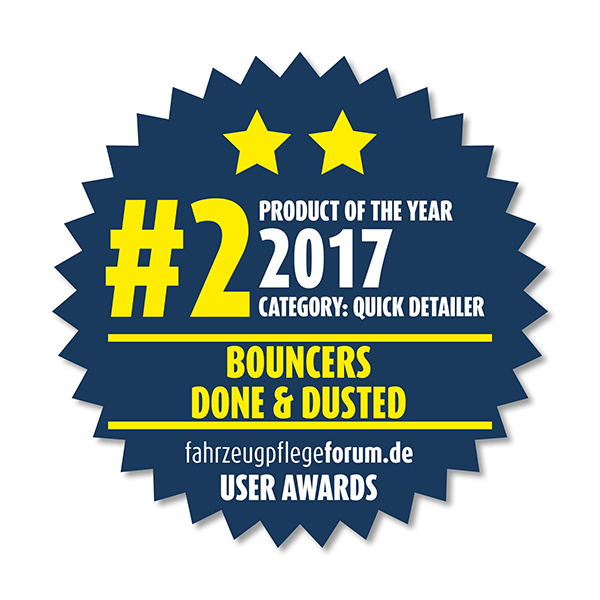 Thank you to all forum users and to our German authorised reseller https://www.carparts.koeln/ for all your support. Last edited by The_Bouncer; 02-06-2018 at 02:47 PM.